Are you bored of the more standard and ordinary holidays? Are you desperate to step out of your comfort zone and experience something interesting or heart pounding? If so then an adventure holiday may be for you. Travelling in search of adventure is great for anyone who likes a challenge, craves adrenaline, or people who simply can’t sit still on holiday. There are some amazing adventure activities available for every type of person and holiday, whether you are organising your entire trip around a search for excitement, or simply planning to try something new whilst abroad. Going on an adventure holiday is an amazing chance to experience another culture, travel further afield than you normally might, increase your confidence, and create some amazing memories. Below we have listed our top ten recommendations for adrenaline junkie holidays. Swimming with sharks is on quite a lot of people’s bucket lists so what better place to do it than in sunny South Africa? There are many companies that you can shark dive with (of course in safe cages), but it is best to ensure you’re doing it with someone qualified. Typically you’ll be taken out on a boat into the sea which will be anchored in a safe spot. The crew will then start attracting sharks using food mixes. Once lowered into the cage you will be able to experience a thrilling encounter with Great Whites – photographs are allowed once it is safe to do so. Climbing Mount Everest is one of the greatest experiences you can take on in your life. However, it is also extremely dangerous. 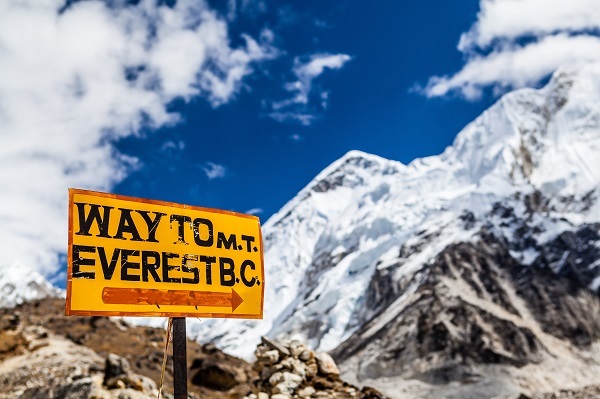 Whilst being able to say that you have climbed Everest is very impressive, you should take into consideration the conditions you will be facing. People have lost their lives climbing the mountain, while many more have scaled it successfully. You should ensure that you have all the right equipment with you including appropriate boots and clothing. On the way up you will find campsites in several places, with a choice between the North or South routes to take. We only recommend trying this with an arranged expedition and after undergoing significant training. You could always just trek to base camp! We specialise in niche travel insurance policies and cover Everest as a separate sporting activity. See what is covered in our Everest travel insurance policy. 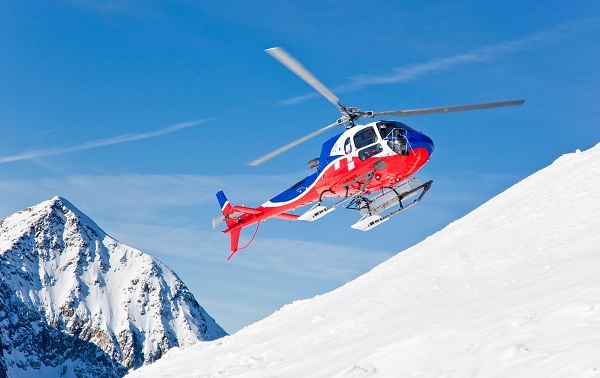 Heli-skiing is where you are taken to a high point on a mountain side by helicopter and then ski down. This is a more glamourous way of skiing, you don’t have to trek to the top and you get to enjoy some breath-taking views along the way. Take advantage of the peace and tranquillity with barely anyone else in sight other than your guide! However, we recommend that you have some skiing experience before taking on these slopes. Heli-skiing prices vary depending on where you’re looking to go. Trips can be between €200 to €3,000 depending on the area and the amount of people that are in your group. While mountain biking may sound like a standard activity, it really is the scene and setting that makes it come alive. With so many places to explore, Asia is a great place to view via bicycle. Choose what sights you would like to see, for example the Great Wall of China or the Hunza Valley, and find the nearest bike rental shop. Make sure you stay safe with a helmet and take a map with you so you can visit all the sights along the way. Might not be the first thing you think about when stunning views like the one above are on offer, but it’s important to make sure your insurance provider covers you for any activity you undertake. We specialise in niche insurance policies, see what our mountain biking travel insurance policies covers you for. Route 66 is the ultimate road trip and what better way to experience it than on a Harley Davidson? Take a journey along the famous route, stopping off at your chosen locations along the way. Gamble in Las Vegas, explore the city of LA, and visit the Grand Canyon. Take advantage of the amazing weather and experience the great outdoors to the sound of a roaring motorcycle. These are readily available for hire when you reach America. However you can also book yourself onto a guided tour where you will feel like you’re in a movie amongst a crowd of bikers. There are many places in Australia where you can partake in a bungee jump, but Cairns is the most popular. Surrounded by tropical trees and a warm climate, it’ll feel like you’re in the jungle. At the top of the tower you will be able to see incredible views such as the Great Barrier Reef, making the jump completely worth it on its own. Take a leap, spread your arms out wide and scream as loud as you can! Although it may seem scary at the time, it’ll be something you’ll remember forever with an adrenaline rush like no other. Doing a sky dive in Dubai is a must for any adrenaline junkie. Jump out of a plane and travel at speeds of up to 130mph while freefalling. Then sit back, relax and take in the views from over the city. If you’re looking for something really special then do your skydive with Skydive Dubai as their drop point is over The Palm, giving you incredible photos and even more to look at on your descent. If you are an animal-lover, Kenya is the perfect place for you. With so many safaris to choose from it can be difficult to pick the right one for you. To play it safe, why not book the Masai Mara National Reserve? Spend your days on safari and see wild animals in their natural habit. Here you’ll see elephants, giraffes, gazelles, zebras, and much more! Take photos you’ll never forget and soak up the sun on your way around. You can choose from a series of accommodation options, including lodges to make you feel right at home with nature. Going on safari is a trip of a life time, make sure that you’re covered before you go with specialist safari travel insurance. Kas in Turkey has been ranked in the top 100 diving destinations throughout the globe. It is a popular destination for tourists and professionals alike thanks to its large amount of underwater wildlife and the clear waters. You’ll be able to see fish such as barracuda, garfish, and ray here as well as other common smaller fish. There are many diving operators in Turkey, with equipment hire, training sessions and group dives operating across a majority of them. Spain is great for rock climbing all year around. During the summer you want somewhere that has a higher rainfall so that the temperatures are right and the altitude is apt. Throughout this season the Pyrennes or Asturias are your top choices as the conditions are ideal. In the winter you will find that most places such as Costa Blanca, Madrid, and Catalonia are perfect! The Boulder Albarracin near Valencia is a popular destination for climbers, if you are experienced you can take your own equipment or join a group in order to partake safely. 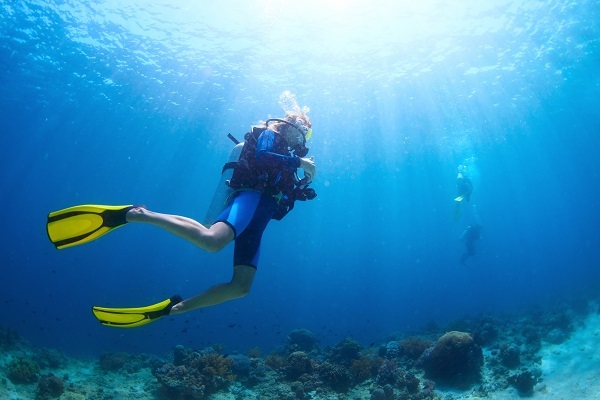 Just remember, if you’re going to be daring on your holiday then you need to prepare for every eventuality – don’t travel without investing in quality travel insurance which covers your chosen activity. Without adequate cover you could find yourself with enormous bills if you become ill or injured, or if you lose your vital possessions abroad.